Are you feeling FFFF R I G H T E N E D yet????? I know I’m feeling that strange, SpOooOOOooooOOOky, spirit, so this post is all about Halloween at Mudd! I’m thinking of dressing up as an Avocado, because my last name is Acevedo, and I’ve had countless people call me ‘Avocado’ since forever because, well, that’s what my name looks like. I actually really like the whole avocado thing, I think it’s pretty funny. 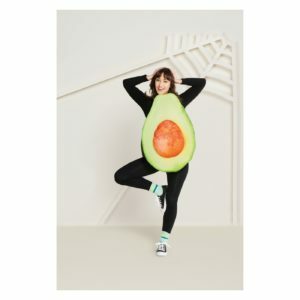 But somehow, in my 18 years of existence I haven’t dressed up as an Avocado yet! (to be fair, only like 13 of those years have been available for halloweening) But this might be the year! However, Mudd has a lot of Halloween-themed activities! 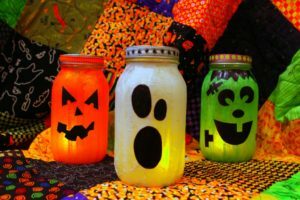 For example, a couple weeks ago, Craft Club invited Mudd students to make Halloween Jars! Craft Club activities, like making these jars, are fun opportunities to socialize and de-stress! Additionally, last week, PRISM (People Respecting Identities and Sexualities at Mudd) had a table at the Hoch where you could send anonymously send a tiny pumpkin to a “squish – someone you have a ‘platonic attraction, liking, appreciation, or admiration for.” It’s like Valentine’s day, but instead of sending a gram to your crush, you can send a tiny pumpkin to your squish on Halloween! Last Friday, students had the opportunity to do Pumpkin Painting with Dean Chris! It’s an hour of relaxing, eating snacks, and painting pumpkins. 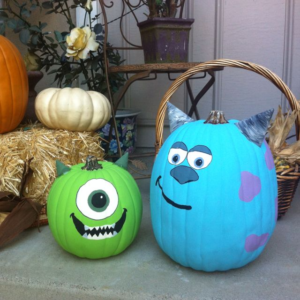 Mudders (can) get really creative with their pumpkin designs! 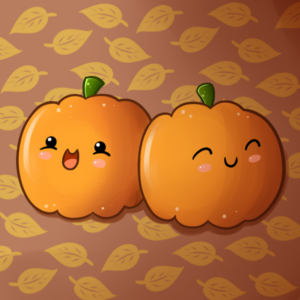 Tonight, DUCK!, Mudd’s student improv comedy group, is going to be doing a Halloween show! I went to one of DUCK!’s shows when I was trying to make my college decision, and the personality and quirkiness on display was one of the reasons I decided to come to Mudd. There’s also ‘Hallowest’ tonight, which is a Halloween-themed party hosted by West dorm, and there’s another Halloween party at Pitzer tomorrow night. As you can tell, there’s tons of fun events in which Mudd students can celebrate, have fun, and generally get into the S P O O K Y spirit! I also decided that I’d ask Mudd students about Halloweens past and present, and share some of their quotes with you! Do you have plans for Halloween this year? ‘My friends and I are doing Winnie the Pooh costumes and I’m Eeyore. What do you usually do for Halloween at Mudd? Do you know of any fun Halloween events at Mudd? What did you do last year for Halloween? Kalani Dúran, Class of 2021. 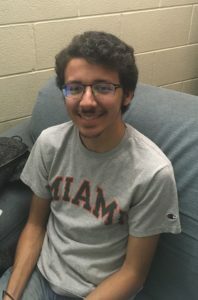 I'm a freshman, planning to major in CS or Engineering, thinking about concentrating in Dance or Literature. I like to run and play basketball in my spare time.  I'm so excited to be at Mudd!